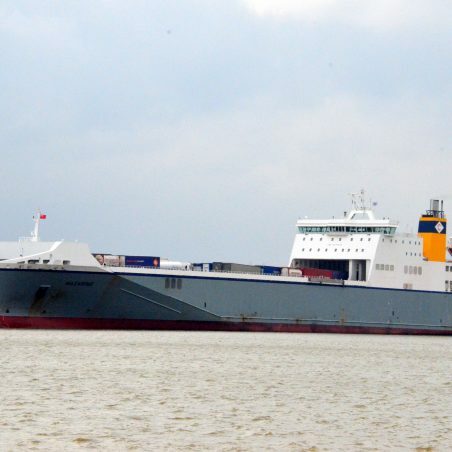 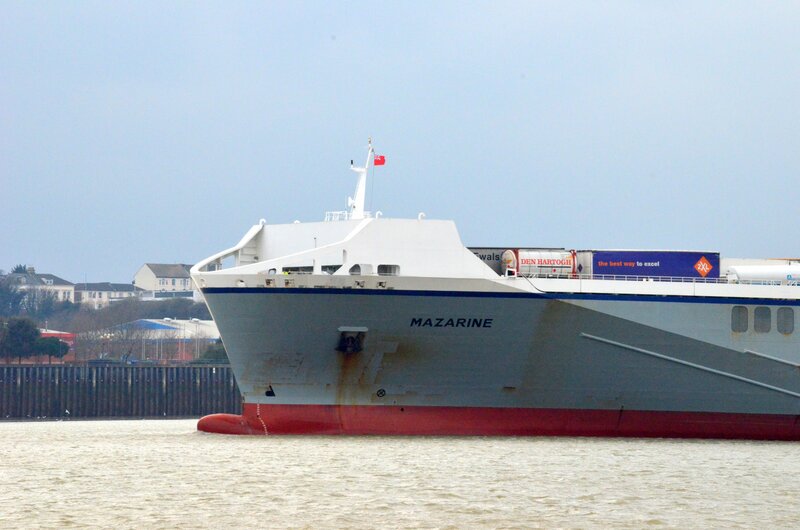 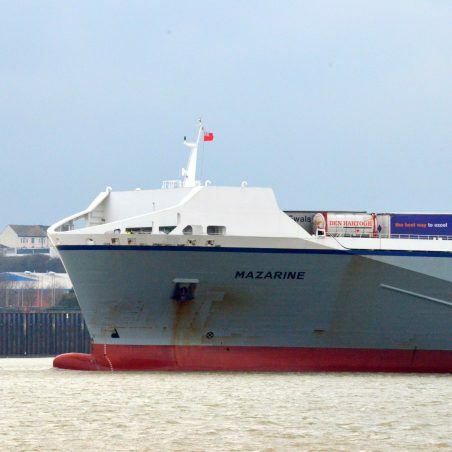 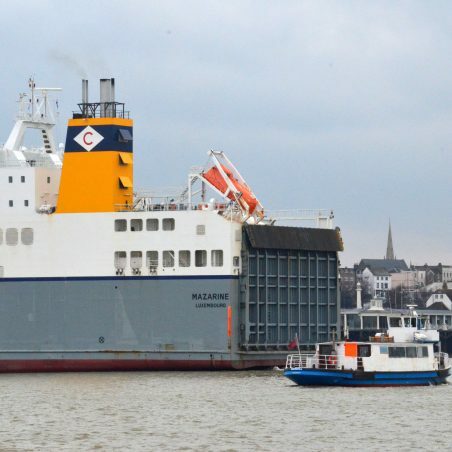 The ro-ro ferry MAZARINE leaving for Zeebrugge on 13/2/2015. 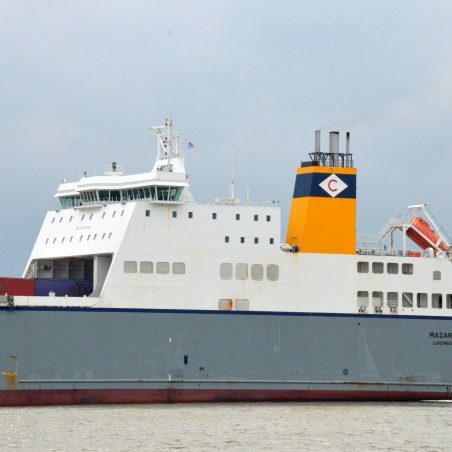 She was built in 2009 at 25,593grt. 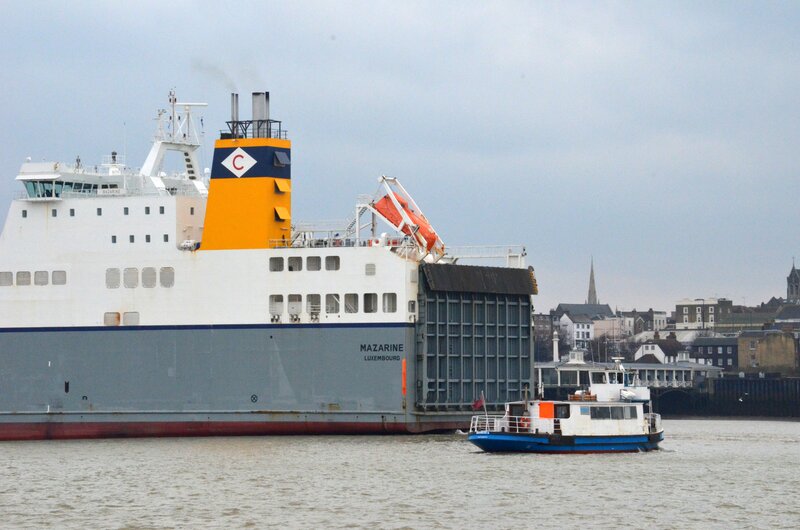 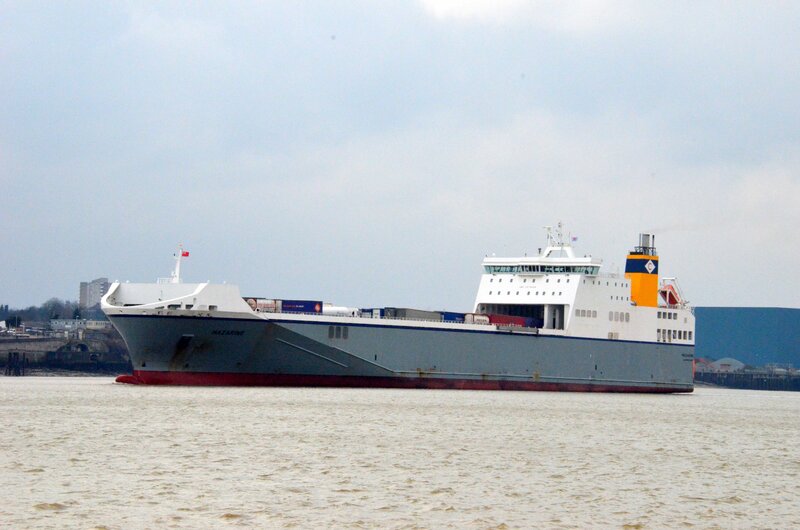 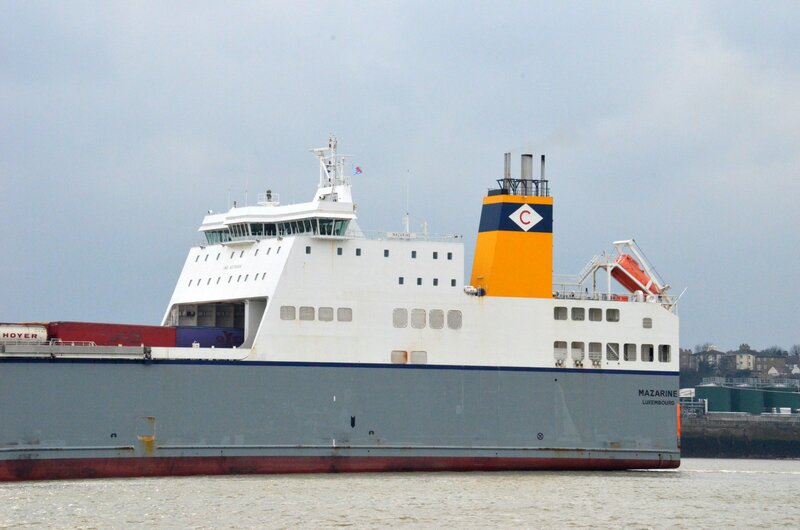 A good indication of her size can be seen with the Tilbury ferry by her stern.